Transform the interactions between your organization and its customers into two-way conversations. Capture customers’ ‘social insights’ to build better customer profiles. Discover the most cost-effective way to nurture leads. Using real-world case studies, Kathy Barton, Sr. Vice President at ISM, explains why organizations are increasingly turning to ‘private’ (or ‘branded’) social media communities to drive long-term customer satisfaction, loyalty and advocacy through peer-to-peer exchange, best-practices discussions and customer engagement across time zones, geographies and languages. Jon Allen, General Manager of Communities & Web Self-Service at Verint, will give examples of how customers are leveraging online communities to enhance customer service, build brand loyalty through deeper engagement, drive innovation, boost employee productivity and increase profitability. Attendees will learn 5 questions to ask to see how they can benefit from social media communities that can include Customer Support, Distributor Support, ‘Voice-of-the-Customer’, and/or Knowledge Management communities. Kathy will be joined by a guest speaker from one of the leading Social Media platforms vendors, who will share with participants the formula their customers use to ensure long-term community success. Why social media communities are your best lead nurturing platform. Kathy is a Senior Vice President with ISM focusing on Digital Marketing, Private Branded Communities, Change Management, and how it integrates with and drives business and marketing strategies. Kathy also specializes in readying an organization for successful CRM implementations. Kathy is actively involved with ISM’s clients including AAA, AEW, Continental Mills, ExxonMobil, Macmillan Publishing, Marriott, Pyrotek, Kraft Heinz, Zumba Fitness and others. 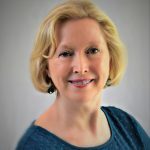 Kathy has over 30 years of business experience and is a proven executive with a reputation for developing strategies and tactics to drive revenue and support corporate goals. She has worked with fast-growing technology companies, Fortune 500 companies, and start-ups, with expertise in IPO preparation and mergers and acquisitions. Jon Allen has over 25 years of international experience working with technologies that bring people and companies together to collaborate, solve problems and improve business results. As General Manager of Communities & Web Self-Service at Verint, Jon helps customers and partners leverage online communities to enhance customer service, build brand loyalty through deeper engagement, drive innovation, boost employee productivity and increase profitability. 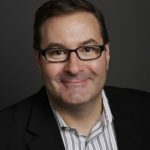 As an early adopter of Knowledge Management principles and strategy, having successfully implemented global KM strategies across large enterprises, Jon is uniquely qualified to share his insights about Community, Web Self-Service and Knowledge Management, delivering the right contextual knowledge at the point of need. ISM creates and implements Social Media Community strategies that leverage both public communities (e.g., Facebook, Twitter) and private communities to drive new sales, enhance marketing impact, and quickly resolve customer-service issues. We have built private, branded communities for global, best-in-class companies, including ExxonMobil, Heinz-Kraft, AAA and others. Our proven approach includes working with our clients to ensure the community’s strategy is driven by businesses objectives and member needs, and aligns with existing people, processes and systems. We ensure that these communities tightly integrate with all other customer-centric activities to ensure maximum customer engagement. We also provide on-going moderation support and community administration services. Learn more about our focus on private social media communities.